My first experience milking a goat was a good one. I was at a friend’s farm, and she let me try my hand at milking two of her does. It took me awhile to get the hang of it, but once I found my rhythm I was good to go. Several months later, my doe finally had her first baby, and I had my first goat to milk. I was so eager to fill my milk bucket with that fresh white gold. But it isn’t as easy as you’d think. First of all Phoebe did not want to stand for me. At all. She was still trying to figure out this whole motherhood thing, and what was going on with her body, and the last thing she wanted was clumsy all thumbs me squeezing her teats. Luckily for her, and me, I found my rhythm again very fast. Unlucky for her, and me, Phoebe has tiny teats. Like the size of my pinkie nail tiny, with tiny little orifices for the milk to come out of. Some days it is a real rodeo to get her to stand still long enough for me to get just a sip of milk in my bucket. There is also the problem of goat foot. 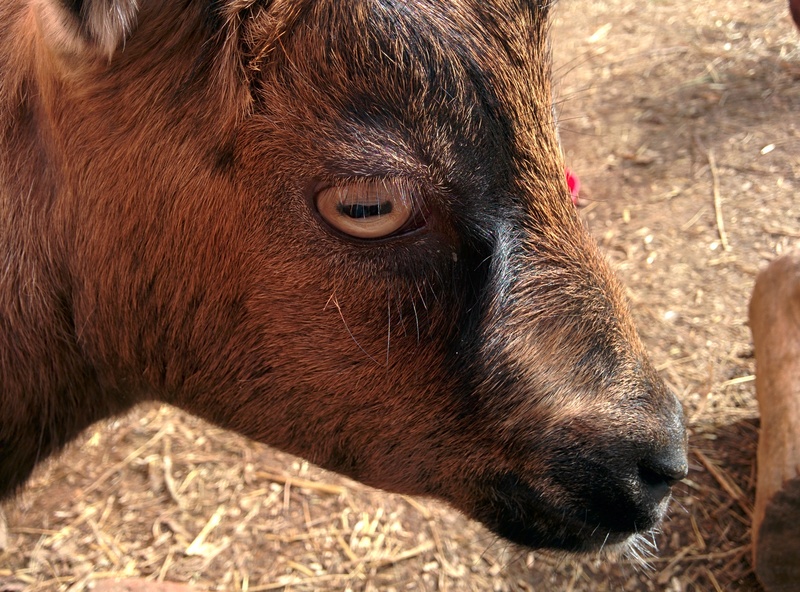 Goats are boogers who purposely aim for the bucket. I swear to you it is true. Phoebe will lift her foot, swing it around until she knows it is hovering above my bucket and slam her foot into the precious milk. She does not slam her foot down any other time; only when it is about to spoil all my hard work. She is also lightening fast with that ninja foot of her’s. By the time I realize what she is planning the foot is already on the descend. Yes life on the farm can be a real treat sometimes. It requires more patience then I will ever have. Some days I’m sure the good Lord is up there laughing at me and my life choice given the fact that I really have no patience for anything. Oh but I’m trying! 1. 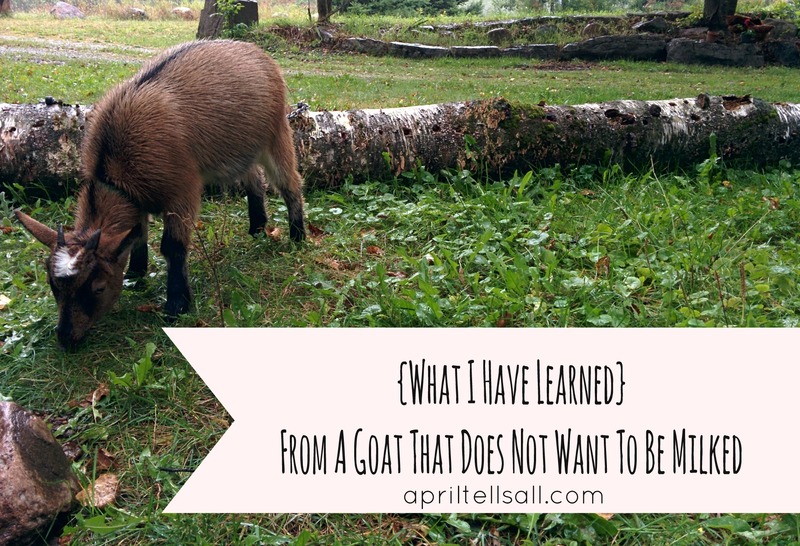 Letting baby roam freely while trying to milk mother goat is a bad idea. He will climb on you, climb on her, steal the milk, put his feet in the bucket, or just generally be a problem. 2. Locking up baby will result in screaming, which will upset mom and she will not stand. Instead she will throw her food bucket on the floor, kick the milk bucket over, and jump around all while screaming back at her screaming child. 3. I didn’t shave her udder simply because I haven’t gone out and purchased a shaver yet, which means, even though I’m as careful as possible, I pull a hair now and then. Pulled hair = foot in bucket. 4. 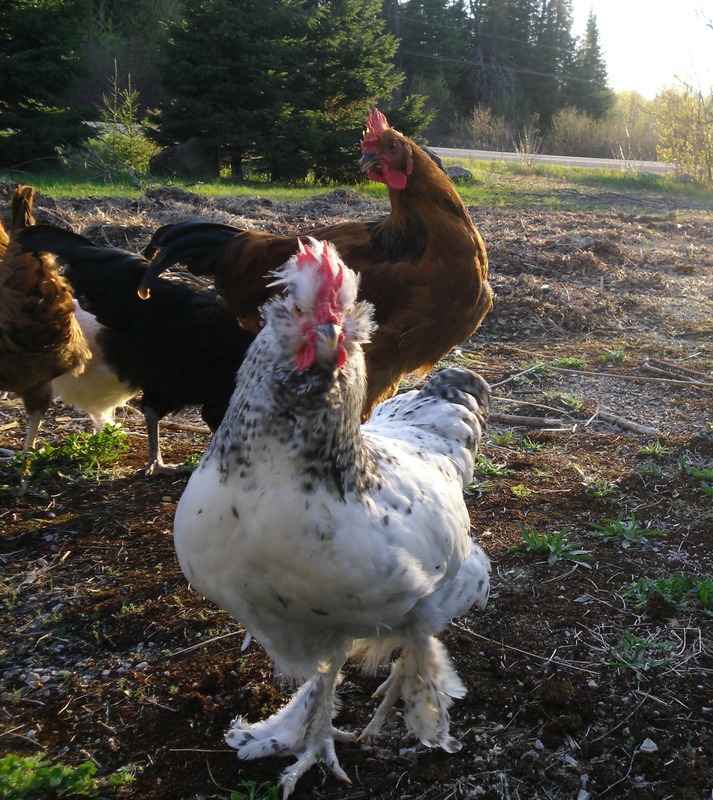 Chickens are the enemy! They will stick their head in the pot, steal Mother Goat’s food, and poop next you. Try to keep those gangsters away while you’re milking. 5. Mother Goat will do anything to get away from you while you are trying desperately to save your little squirt of milk from her feet. For Example: I turned to put my little milk bucket to the side (out of reach of feet, baby, and chickens) to let her calm down for a minute. I was turned for maybe a second. During that time, she promptly fell off the milking bench. A very classy legs out straight, completely sideways fall. She has no myotonic (fainting goat) in her, but she decided that free falling from the bench was her best way to escape. However she was still tied to the bench so this resulted in a choking stiff goat that I have to lift back onto the bench. You would think that once would be enough of that experience (it certainly was for me! ), but oh no. The free falling method is her preferred attempt escape method. The lesson here? Never turn your back on a goat that does not want to be milked. 6. Give all your hard work to the chickens because feet have been in it, baby goat has been in it, and there is manure floating on the top. Go inside, cry your eyes out, and just buy milk from the store. Consider selling goats and just making nut milk instead. It doesn’t fight back. 7. If you do actually get the white gold to your fridge, cherish it! Phoebe feels generous about once a week and we get just enough to want more. The milk is fantastic, and totally worth it. Get a hand pump milker. The milk is really worth it!